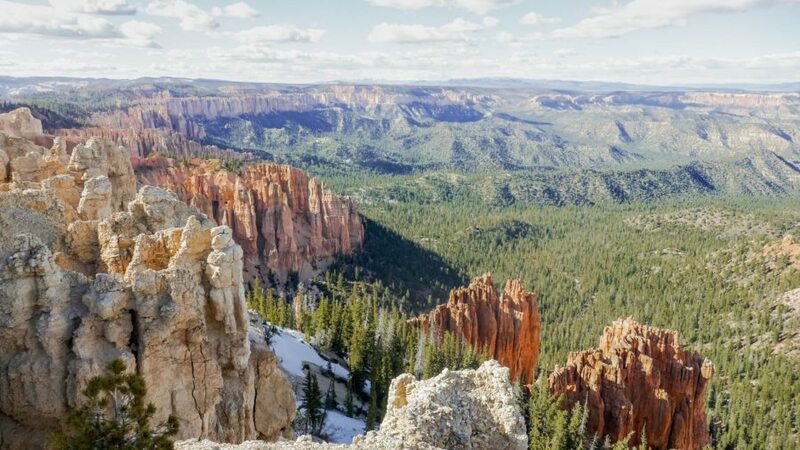 Unlike Canyonlands and Bryce Canyon, Zion National Park was a National Park that I knew I wanted to visited before our trip around America. I was pretty set on doing a hike called The Narrows. It’s where you basically wade through water as you go deeper and deeper into a narrow canyon. Despite the fact you get wet, it sounded pretty cool. It turned out it was too cool. The insane amounts of snow that America seems to have had last winter (which caused us to have to take many a detour) were just starting to melt. This made for a very high, fast flowing river and even colder waters. The Narrows was closed, quite sensibly, so we instead decided to do a hike called Angels Landing. In all honesty it is a little sketchy when you’re walking along a piece of rock no wider than your foot while clinging on to a chain and trying to make room for people to pass in the other direction. It isn’t so much the hike that’s dangerous, it’s the amount of people going up and down. There’s currently no limit to the amount of hikers unlike for Half Dome in Yosemite. I’m sure that’ll change pretty soon. Despite the above, the hike is amazing and stands out as our favourite from our trip. 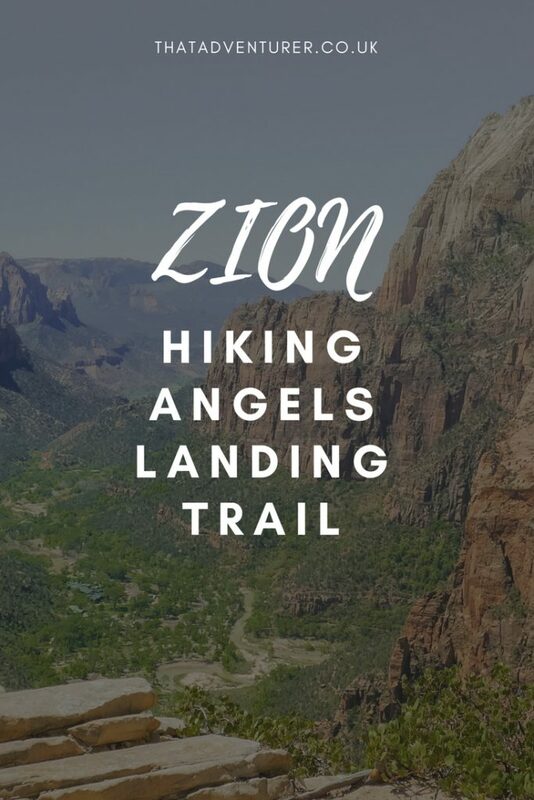 Would you go hiking Angels Landing? 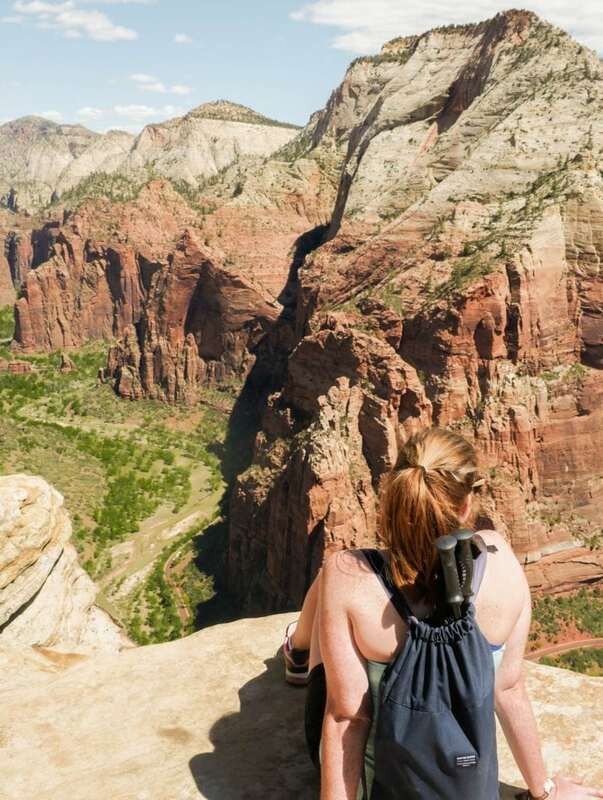 Angels Landing is one of the world’s most renowned hikes. 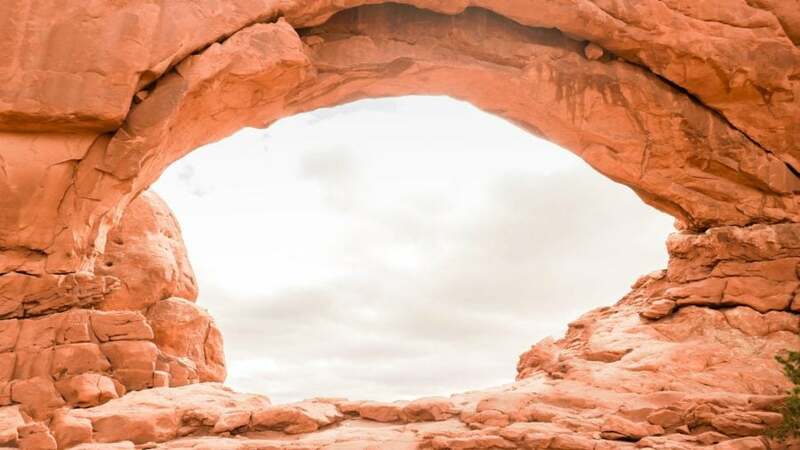 It’s relatively short and is probably on most hikers’ bucket lists. 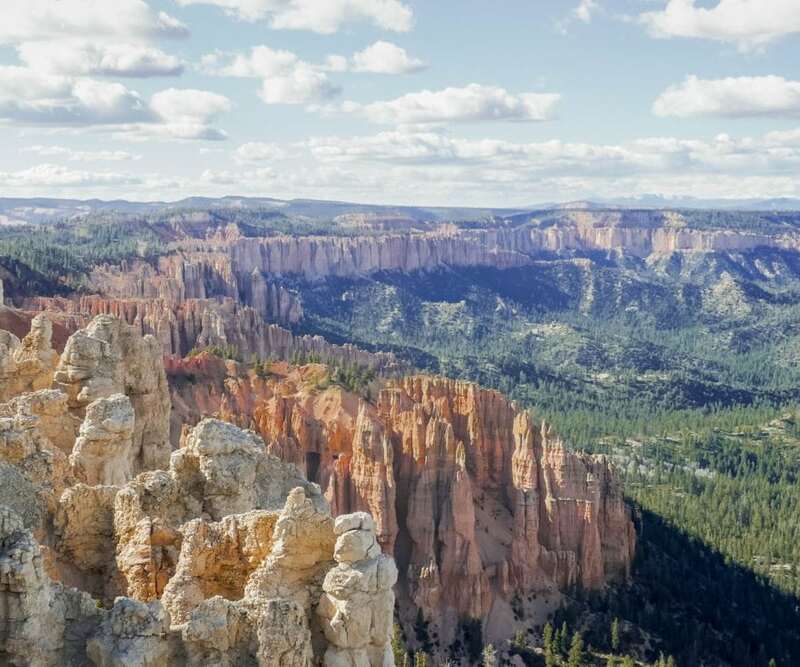 As you hike, and from the top, you’ll get views of Zion Canyon’s 270 million year old rock layers. You don’t need to be super fit to do the hike, but you do need to be good with heights and be able to put up with some steep zig-zags. The last part of the hike after Scout Lookout – AKA the good part – involves making the most of the chains bolted into the rock to avoid falling. Do not do this part if you don’t like heights. Start location: The Grotto Trailhead in Zion Canyon. On the shuttle bus this is stop 6 and you’ll need to cross the road towards the river. 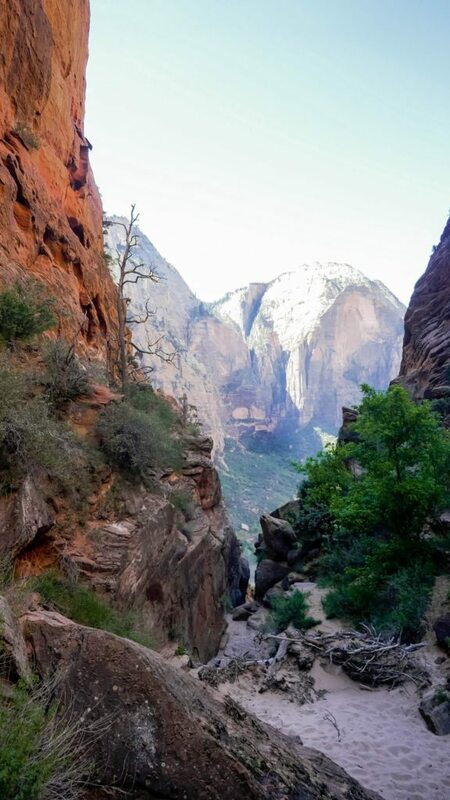 The Angels Landing is good to hike at any time outside of winter. However, summer afternoons get very hot, so get up early when it’s a bit cooler. 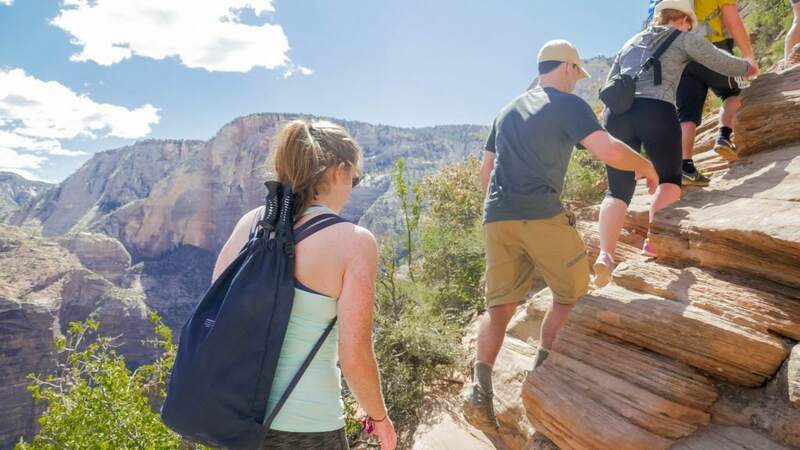 The National Parks Service advise you not to hike when a thunderstorm is predicted as the peak of Angels Landing is likely to get struck by lightning. 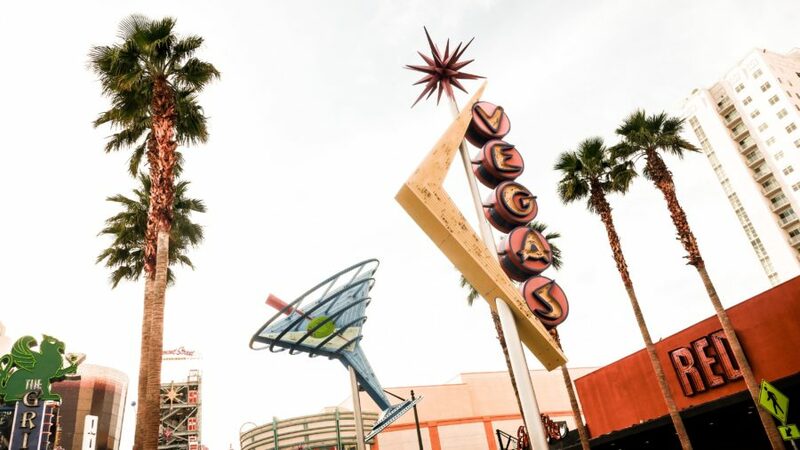 Make sure you carry plenty of water (about a gallon each). You can fill water bottles up at the bottom of the trail, but there’s nowhere to do it once you’ve started. Take plenty of snacks too and use a backpack as your hands will be needed to hold on to the chains and scramble over some rocks! 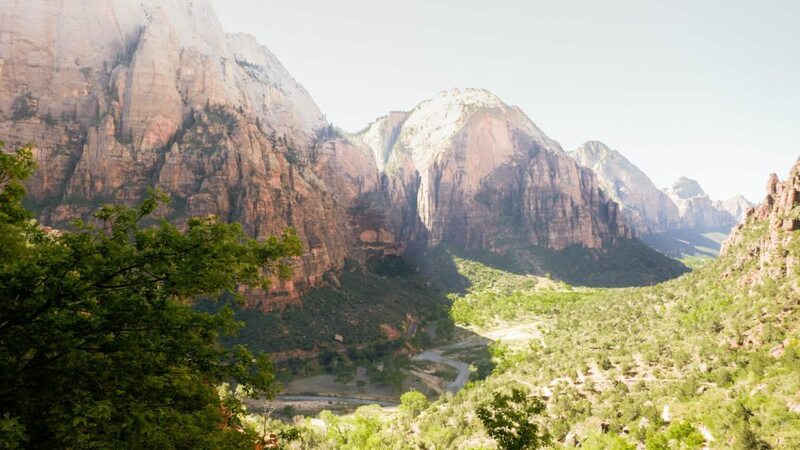 The Angels Landing hike starts off just across the road from the Grotto Picnic Area. If you need more water, or the toilet, go here as there’s not really anywhere to go once you’re started. You’ll start things off by crossing a bridge over the river and onto the West Rim Trail. Initially the trail is paved and easy underfoot. It’s pretty flat to begin with with just a steep incline and then things get very steep just before you enter Refrigerator Canyon. The canyon is so called as it’s lovely and cool in there: make the most of it! After the canyon you’ll come out to Walter’s Wiggles. This is a series of 21 zig-zags which are both tight and steep. Despite the fact it’s steep if you keep plodding along it’s not too long or hard. From Walter’s Wiggles you’ll arrive at Scout Lookout and get your first proper view of the challenge ahead. The paved path is no longer and you’ll get a glimpse of the real challenge and the chains that await! The last 0.5 miles of the trail follows a ridge where things are steep and great fun. It’s not too tiring in terms of steepness but you’ll likely get out of breath from concentration and crawling. You’ll also find yourself having to stop a lot to let people pass in the other direction. Which is sometimes much appreciated as you can catch your breath! There are a few areas where things get hairy (like when people are trying to squeeze past you on their way down when you go up or the other way around), so do make use of the chain. Don’t be afraid to crawl over some of the rocks. Just do whatever you feel comfortable doing. I personally loved the challenge of being on such a small path and so high up. But, having said that, I made sure not to look down until we were at the top where there’s a bit more room for manoeuvre! I’m going back to Zion in October and super excited. 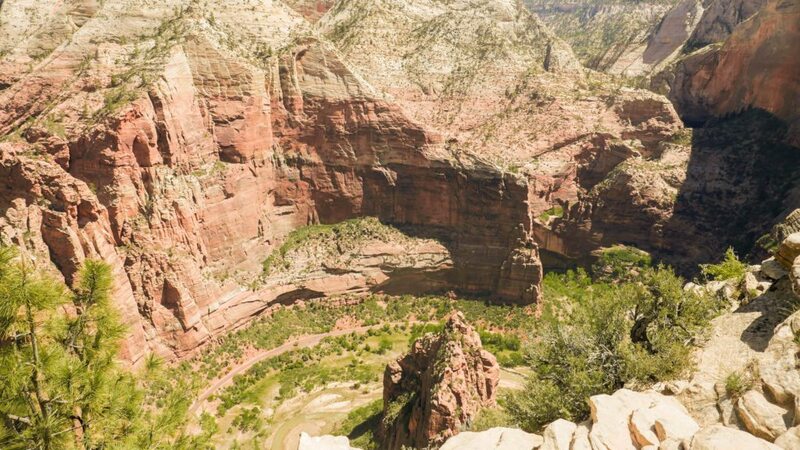 I’d like to think I’d do Angel’s Landing but i’d have to decide once I got up there. I push myself to try things out of my comfort zone a lot!